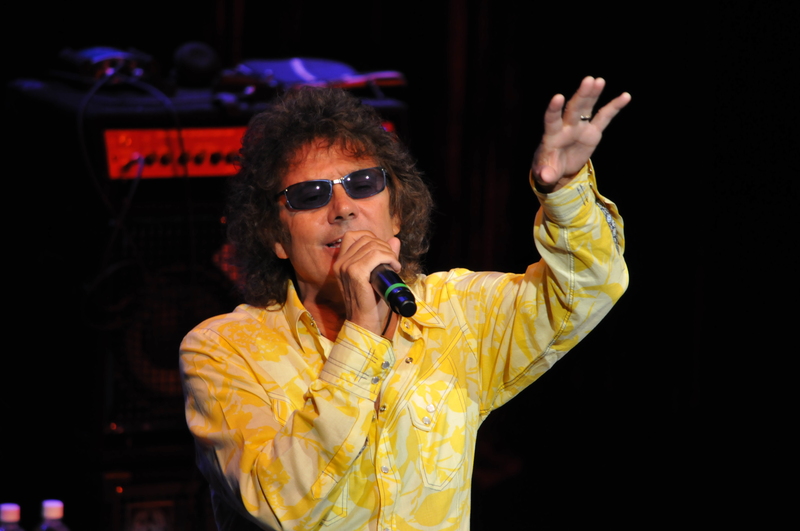 In between songs Saturday evening at the Bears Den, Starship singer Mickey Thomas said the Buffalo Bills could make a statement with a win over the New England Patriots on Sunday. Mickey must be a soothsayer as he made a statement himself as he led the Starship through a time warp that featured songs from the multifarious catalog of The Jefferson Airplane/Jefferson Starship/Starship. Starting off with a pair of cuts culled from 1984s “Nuclear Furniture” album, “Layin’ It On The Line” followed by “No Way Out” garnered the attention of the audience that was never lost. A blistering version of Mickey’s first hit as a member of Jefferson Starship “Jane” showed that the man has not lost anything in the vocal department. The intimate setting of the fantastic Bear’s Den is a fan’s dream venue as one is real close to the performers. Several times between songs Mickey was exchanging banter with the crowd. Mickey seemed to be in very good spirits throughout the ninety minute set. As far as highlights go one would say right near the top of the list would be the medley that featured the talented Stephanie Calvert. Her rendition of “White Rabbit” paid a great homage to original lead singer Grace Slick. The middle part was filled up by a pair of 70’s tunes “Miracles” and “Count On Me” both sung originally by Marty Balin. By the time Ms. Calvert finished tearing through “Somebody To Love” it brought the near capacity crowd to a standing ovation. Mickey has put together a real stable band that seems to have gelled together quite well. By the time “Find Your Way Back” brought out another standing ovation one could only be thankful that Mickey is still out there performing. If it weren’t for Mickey most of these great songs would not get the chance to be performed live. Mickey has recently stated he can see himself playing live another ten years as he really enjoys the opportunity to keep these songs alive. If he still sounds this good in another ten years, I think we should take him up on his word. Special Thanks to Tony Astran for allowing RSC to review the concert!